The candidate's crew president (or vice president of administration, if the candidate is the crew president) and the chair of the board of review must agree upon the board's final membership makeup. If the chair and the crew president (or vice president of administration) cannot agree, the candidate's Advisor will make the final determination of board membership, including members previously considered by the crew president and chair. Board of Review Chair. The adult chair of the board of review shall be a Venturing-certified member of the district or local council advancement committee or a designated Venturing-certified representative. "Venturing-certified" means that the person has completed Venturing Awards and Recognition training. In the event the chair determines that no Venturer is available who meets one of these qualifications, the crew president may nominate another Venturer from the candidate's crew to serve on the board of review. Adult Representatives. 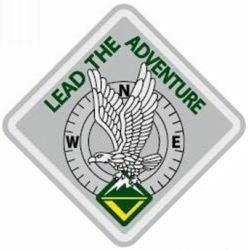 Other than the chair, the board of review should include at least one adult who is registered with the BSA and who participates regularly with the Venturing program at any level.